Owning Canon DSLR's make it pretty expensive to get into some decent Tilt Shift lenses, but for Micro Four Third cameras there's more options and come a bit cheaper. Looking to get some Tilt Shift action going on the GH2 there's a few inexpensive lenses I've been following. These lenses mostly shop themselves around under the name Photex, Arax, Big, Fotex, and Arsat names. Commonly found in an 80mm F/2.8, but for Micro 4/3 systems they have a 50mm F/2. Plenty of still images via Flicker with these popular tilts, but nothing I could track down for videos or Timelapse. 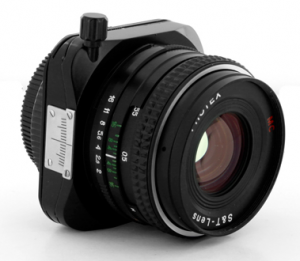 Anyone got links to samples of these Micro Four Thirds Tilt Shift lenses in use? Posted in Equipment Reviews, Photography Gadgets, Videography Gadgets. Tags: arax, arsat, fotex, gh2 time lapse, photex, Tilt Shift on February 24, 2011 by Emm.